Israel PM Netanyahu giving a statement prior to meeting with US Sec of State John Kerry, November 8, 2013. (Screenshot)As international hopes rose around the possibility of successful talks on Iran’s nuclear program in Geneva on Friday, Israel’s Prime Minister Benjamin Netanyahu had a message for the world: No, no, no. “Israel is not obliged by this agreement and Israel will do everything it needs to defend itself, to defend the security of its people,” Netanyahu said in one of two videos released to reporters ahead of talks with U.S. Secretary of State John Kerry at Ben Gurion airport that took place Friday morning. Many interpreted the comments as the latest in a series of veiled threats about Israel’s desire to strike militarily against Iran. Though not perfect, numerous diplomatic experts and observers are calling the brewing deal a potential best hope for de-escalating the threat of a dangerous military confrontation in the region. Netanyahu, however, said his country would not be bound whatsoever by the agreement, which he called a “monumental,” “grievous” and “historic” mistake. “This is a very bad deal. Israel utterly rejects it,” Netanyahu said. 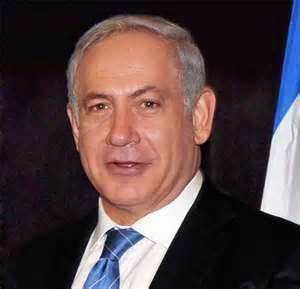 Netanyahu was referring to information he had received coming out of the ongoing talks in Geneva between the P5+1 group of Britain, China, France, Russia, the United States and Germany with Iran over its nuclear program, although no official announcement of a deal has been made. Though no official statements on the details have yet emerged, Iran’s Foreign Minister Mohammad Javad Zarif has said that a joint statement on the framework of a nuclear deal could be issued as early as Friday. Other reporting suggests that though progress has been made, the high-level talks may continue into the weekend before a deal or framework is announced by the parties. Netanyahu’s comments represent the continued hostility of the Israeli government towards Iran’s nuclear program. Though Iran has repeatedly claimed its nuclear program is for power generation and medical research purposes only, Israel refuses to acknowledge its own nuclear arsenal. Unlike Iran, Israel has never signed the Nuclear Non-Proliferation Treaty. Israel’s ill-tempered opposition – even before anything has been formally agreed – looks set to further strain its already tense relations with Washington. “Netanyahu unwise to challenge US so openly/dismissively on possible Iran nuclear deal,” tweeted Nicholas Burns, a former senior US diplomat. “Netanyahu’s outburst was a serious tactical error.” The Israeli prime minister has taken a hard line on this issue for years, so it is no surprise he is taking the news badly. It is still hard to imagine, however, that Israel would attack Iran – even if it has the military capability to do so alone – while a prolonged and internationally backed agreement is in place. Kerry did not make a statement before he left Israel for Geneva, though the White House pushed back, at least mildly, against the Israeli Prime Minister by saying that any criticism of the deal is “premature,” because no deal yet exists. Late in the day Friday, according to the Guardian’s live reporting from Geneva, the closed-door talks were heading into their second hour. PreviousList of Unknown Underground Bases in the US – Look how much acreage is truly owned by the state and feds!! !